Because of its origins in South America, the tomato plant has very few natural pests here in the United Kingdom. However after many decade of glasshouse production it now suffers the scourge of common glasshouse pests if they are grown under protection. In fact, you are far more likely to experience problems when growing under glass or in a grow bag than you will ever get when growing tomatoes directly into well-prepared soil. Of course whitefly are a well-known pest of protected crops and if left to their own devices can transfer virulent viruses, as well smother, weaken and in extreme cases kill off the host plants. So just how do you control whitefly on tomato plants? Cause: Greenhouse whiteflies are a well-known pest insect on protected crops and can quickly colonise the soft tissue parts of your plant. They damage and weaken the plant by sucking the sap out of pressurised parenchyma cells just below the leaf cuticle. 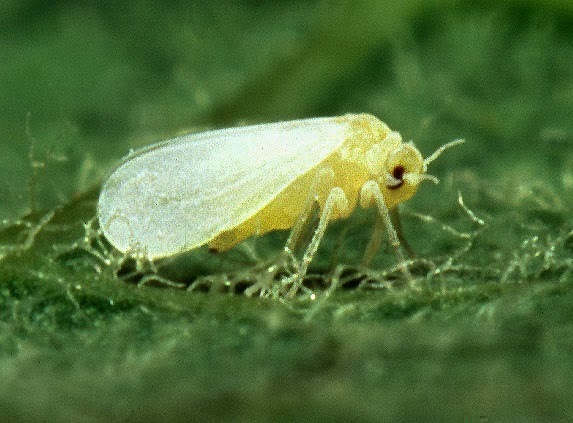 Symptoms: Like aphids, whiteflies have piercing-sucking mouthparts so the damage caused is very similar to that of aphids. 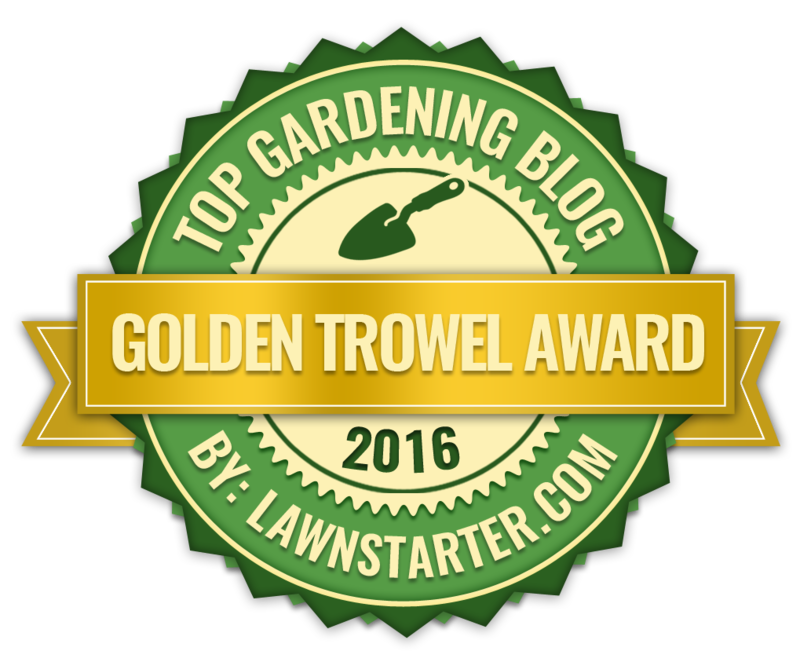 Direct damage to tomato plants can cause deformed new growth and wilting, chlorotic leaves. Whiteflies can also transmit some plant viruses, so if your plant becomes infected, immediately remove and destroy. Also like aphids, whiteflies secrete honeydew, upon which an unsightly - yet harmless - sooty mould will grow on. Feeding by whiteflies can also cause deformed fruit and discoloration of your tomatoes. Treatment: There are many chemical treatments available including a number of organic, but all of these must be applied at the first signs of infection to achieve the best results. Try applying contact insecticides such as pyrethrum, derris or soft soap solutions as these are the best option for organic gardeners. 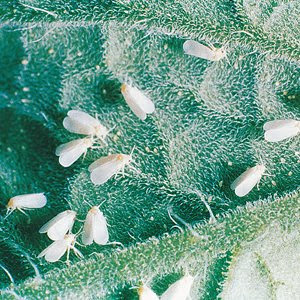 Perhaps the most commonly used organic method is the biological control of whitefly by its natural predator Encarsia formosa. This parasitic wasp attacks the whitefly by depositing an egg within the host body then, after about 10 days, the parasitized host will turn brown as wasp pupation occurs. After another 10 days the emerging adult wasp will appear and will, in turn, parasitize more whiteflies. WHAT ARE THE NATURAL PREDATORS OF PLANT LICE? WHAT CAUSES BLUE HYDRANGEAS TO TURN PINK?